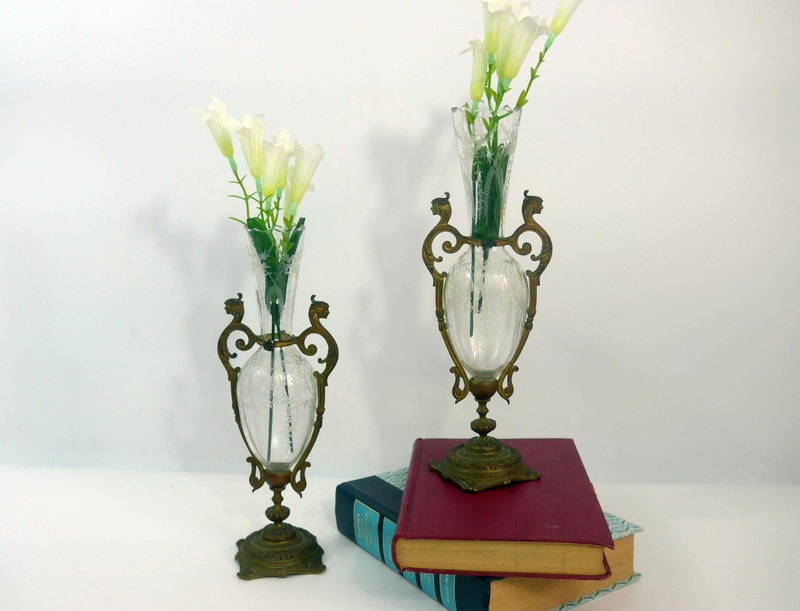 Pair of beautiful and dainty Antique etched flower vases that sit inside matching ornate brass holders. 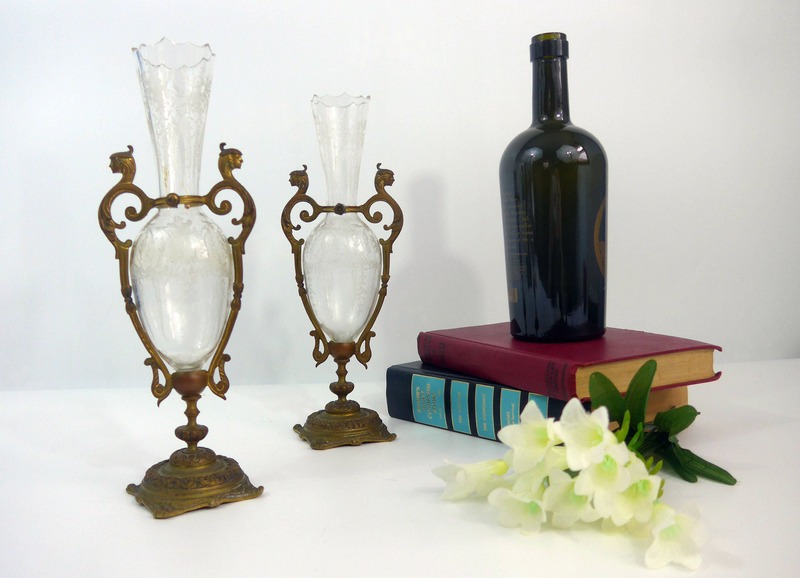 I believe these mantle vases are circa 1800s and are reminiscent of gilt bronze French decor items popular at that time in history. 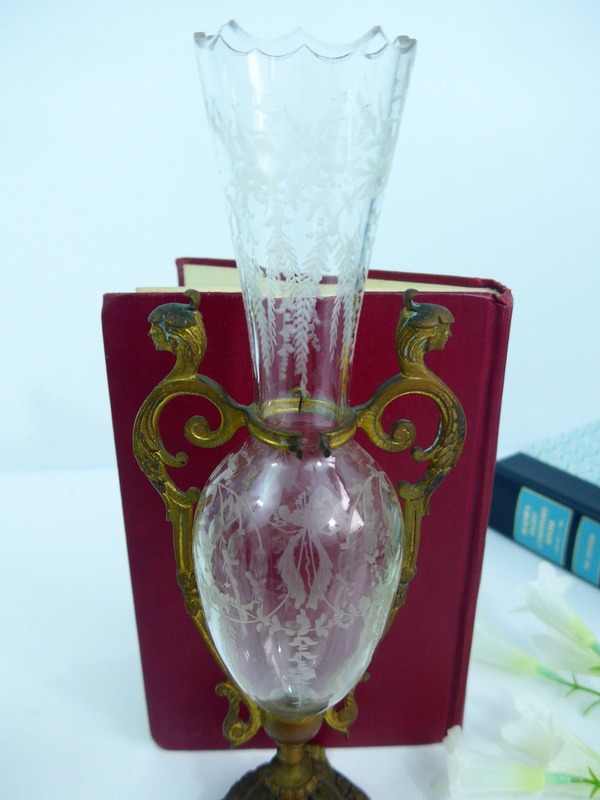 This set of 2 matching brass and etched glass vases are quite unique. 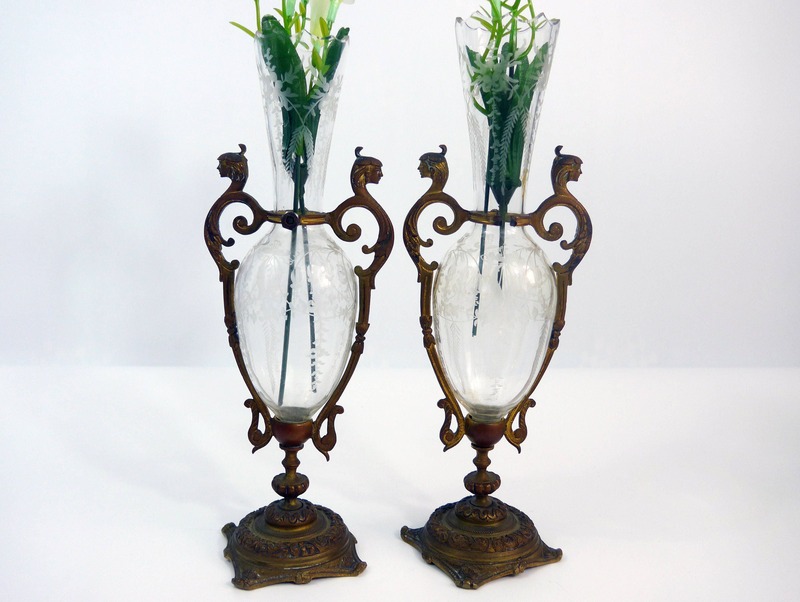 The glass vases sit inside the brass bases and then have a holder at the top to keep them in place. The vases have a bulbous shape at the center section, close in at the neck, and then flare upwards and outwards to an opening that has scalloped edges. 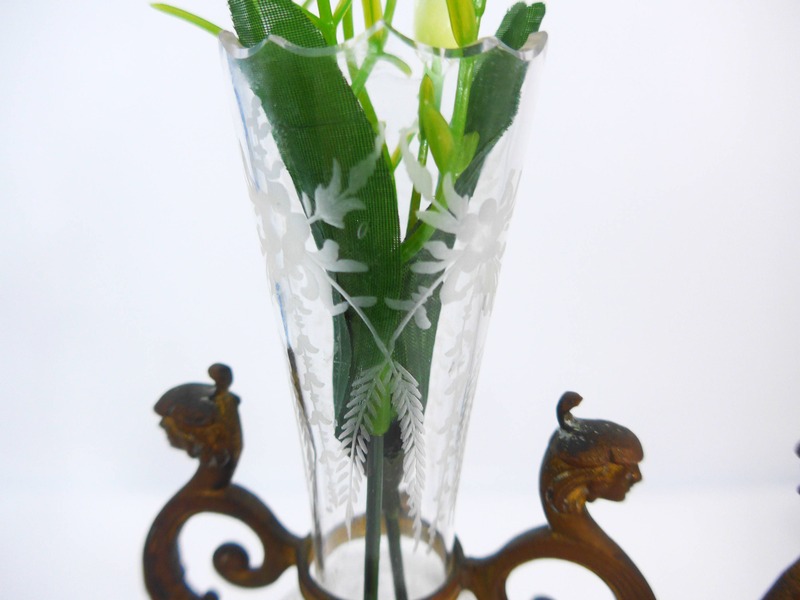 The vases are etched with garland, ribbon, leaf and floral designs. The design elements on the vases can be seen well in the closeup photos. 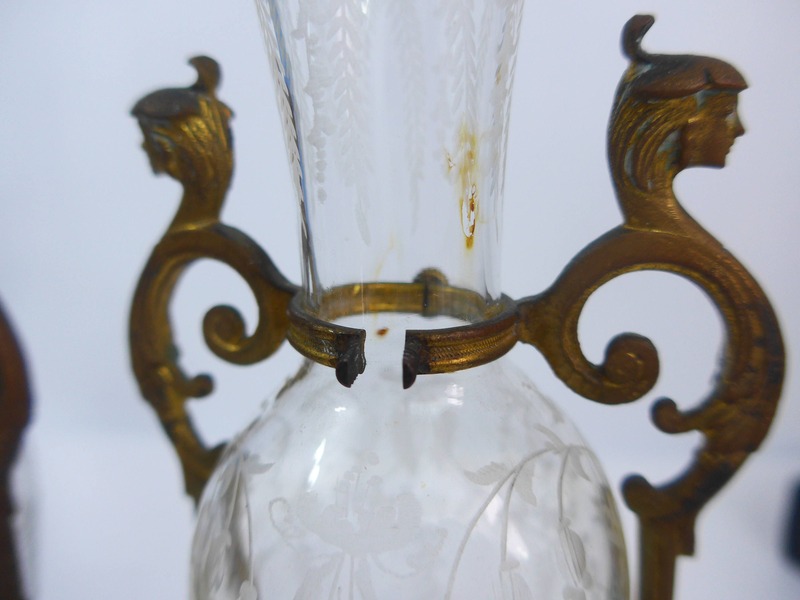 The matching brass holders have an ornate base with two pieces or arms that come up and form a shape of two Egyptian women at the top, each with half of a ring shape on the end. 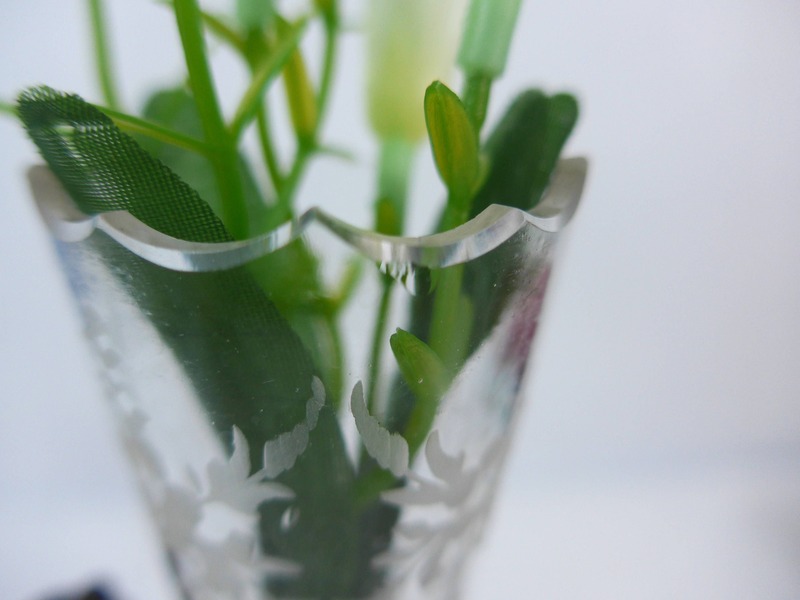 This ring shape of the two sides comes together and forms a brass ring that holds the top of the etched vases in place. They are held together with a screw piece - one of the screws on one vase is missing and they do not seem to be able to come together - see photos for detail. 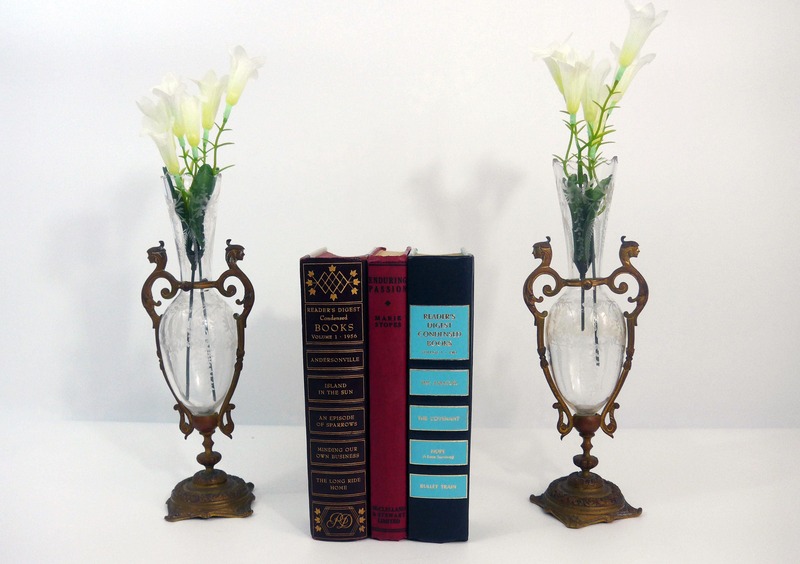 Each piece including the vase and the holder measures 10" high. The bases are 3 2/3" square. In nice Antique condition with patina all over the brass holder sections. Very small chip in the top of one of the etched vases seen upon close inspection - see last photo. On one vase, the brass section that holds the vases in place is missing the screw and does not come together. There is some rust on the glass near that area- see photo #4. Despite this, the vase is quite secure in the holder. NOTE: At one time, the vases may have been able to have been removed from the holders, but I did not venture to do this as I didn't want to damage them.